Are you one of the victims that suffered a great loss from the severe thunderstorm in the area? It was a great disaster to a number of people in the northern Metro are of Minnesota. According to the reports, a number of people experienced window and sidings damaged. Besides this, a number of patio furniture were also broken and in some cases, roofs were damaged. The heavy rain that pounded many towns on the Northern half of the Twin Cities metro also caused a lot of damages in different homes. On the west, a lot of neighborhood also experienced a lot of challenges and an immediate repair is all you need at this moment. For the best repair of the damaged windows, sidings, and roofs among others, it is important to look out for a smart Construction Company that will serve you better. When selecting the construction company, you need to look out for a number of factors like; the level of professionalism of the craftsmen, pricing, reliability, and much more. At Snap Construction, we are now at your service to offer you excellent roofing, window, and siding service. We are very reliable and convenient in our services; hence you can always reach us any moment. Besides this, we also have an expert team of professionals who will assure you of top-notch service. We are the best roofing contractor Shoreview you can rely on. Give us a call today and we will perfectly repair all your windows and sidings among others. In order to achieve world-class restoration and remodeling service, we have hired a great team of professional craftsmen who will serve you better. All our experienced craftsmen are able to deal with any kind of damage, meaning your home will be restored to its normal condition before the storm. Besides this, they are very friendly individuals who can always work in your absence. The craftsmen are also licensed and insured; hence you are assured of their security. Why miss out on this? Give us a call today and we will perfectly repair any damaged caused by the storm. We know that a large number of families and commercial premises experienced a great damage during the severe storm. In order to reach out to all the victims, we have more than enough professional craftsmen who will reach you within the shortest time. This, therefore, implies that irrespective of your destination, we will reach you within the required time. All you need is to get in touch with the leading roofing contractor Shoreview today via a phone call and you will realize how much you have been missing. Are you one of the victims whose roof was damaged? 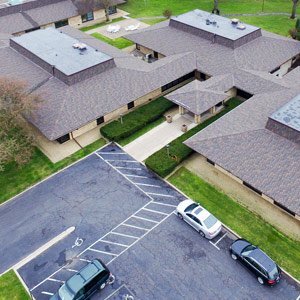 In case you need an excellent and reliable roofing services in the Northern metro area in Minnesota, then you are at the right place. This is because, at Snap Construction, we deliver the quality you can trust since we are the ultimate roofing contractor Shoreview. Our talented craftsmen employ the latest technology to offer you high standard roofing services. We handle every situation differently to give you a unique roofing experience that will match your taste and your preference. Apart from this, you are also assured of a free roof inspection; hence the best place to be. To get in touch with us today, you just need to give us a call and you will definitely love our services. Before hiring any construction company to repair your windows, siding, or roof that was damaged during the storm, it is very crucial to find out if they are insured. At Snap Construction, we offer a lifetime warranty to all our craftsmen. This means that you are guaranteed of our product suppliers, work, and much more. With this, you will find our services more reliable and trustworthy; hence the place to be. Besides offering roofing, window, and siding repair, you can also hire us to remodel your home. We offer excellent remodeling service to give your home a spectacular look you will definitely love. With the aid of our experts, we can remodel your house to your taste. We have also made remodeling very simple as we have a strategic alliance with some reputable companies like Environment and Center of Energy among others. Through this, we will always find the best financing program that works out for you. With the advancement of technology, we at Snap Construction we aren’t left behind. This is because we employ the latest technology in all our construction service. Through this, we will deliver top-notch repair and remodeling service to leave your home looking awesome. We use the latest equipment and tools in all our construction service to ensure that your roof, windows, and sidings are repaired in the best way possible. Get in touch with the best roofing contractor Shoreview and you will be served better. 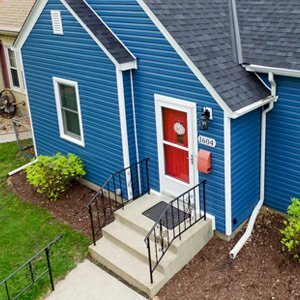 Despite being the leading construction company in Minnesota Twin Cities Metro, we charge relatively cheap and affordable prices. This is because we value customer satisfaction. Besides this, we also care about the economy of scale and provides the ultimate loan programs with 0% financing. We also offer other option with a duration of up to 15 years. This is the ultimate construction company that will deal with all the damages you may have experienced during the storm. Restore back the face of your home by hiring us today and you will be assured of the quality you can trust. These are just, but some of the myriad number of reasons why you need to hire us today. At Snap Construction we deliver top-notch and reliable service. This is because we have everything in place from professional experts to the latest equipment. All our services are provided by experienced and insured experts you can always trust. You can now get in touch with us any moment via 612-333-7627 and we will reach you within the estimated time. We serve the entire city and beyond and, therefore, you can easily enjoy our service irrespective of your location. Let your roof be repaired by the best roofing contractor Shoreview and you will definitely like it.